In the English language, there are countless words. There are words, there are words for words, and there are words for words that play with words. Did I lose you there? Logology, or the field of recreational linguistics, is a fun way to play with words. Logology encompasses a wide variety of word games and wordplay, simply for the fun of it! Want to play? Then here's a list of terms to help you play around and explore the English language in a fun way. Ambigrams read the same way when viewed from multiple directions, perspectives, or orientations, like this creative gif that features an ambigram of the word ambigram. Neato. Anagrams are created by rearranging the letters of a word or phrase to produce a new word or phrase. For example, "dormitory" can be rearranged into "dirty room." There are even some anagrams that have fun meanings: the letters in "eleven plus two" can also spell out "twelve plus one," and both equal thirteen. An aptronym is a personal name that is regarded as amusingly appropriate to the bearer's occupation. William Headline was a bureau chief for CNN, Amy Freeze is a meteorologist, and Stuart Fell is a BBC stunt coordinator, making comic book writers weep with joy. Even better, there's Thomas Crapper, a manufacturer of Victorian toilets, and Dr. Richard Chopp, a urologist known for performing vasectomies. Names have power. Backronyms are phrases constructed to spell out a certain word or acronym—a reverse acronym, if you will. If you're a Calvin and Hobbes fan, you'll know the backronym "GROSS," which stands for "Get Rid of Slimy girlS." A blend, also called a portmanteau word, is formed by merging the sounds and meanings of two or more words. Some common blends include "smog" (smoke and fog) and "brunch" (breakfast and lunch), but contemporary blends have taken some liberties. Turducken (turkey, duck, and chicken), anyone? A contronym is a word with two opposite meanings. For example, you can rent an apartment, but "rent" is a contronym, so did you accept money to lease the apartment to a tenant or pay someone else to use the apartment? In the same way, you can overlook the lease, but did you inspect it closely or fail to look at it at all? Tricky, tricky. An eponym is a person, place, or thing for whom or for which something is named. So, Walt Disney is the eponym for Disneyland, and the Greek hero Achilles is the eponym for an Achilles' heel. An inaptronym is a personal name that is ironic rather than descriptive like in an aptronym. Humorously, Frank Beard is the only member of ZZ Top who doesn't have a beard, Samuel Foote was an actor who lost his leg in a horseback-riding accident, and Dr. Don Livermore is a master whisky blender. You can't make this stuff up! Isograms are words that do not have any repeating letters, such as "ambidextrously," "trampoline," and "artichokes." A lipogram purposefully excludes a letter of the alphabet. For example, Willard R. Espy's 181 Missing O's excludes the letter "o." Or, if you're more familiar with television, in How I Met Your Mother, season 9, episode 9, Barney is challenged to obtain a girl's number without using the letter "e."
The incorrect use of a word in place of a word with a similar sound is referred to as a malapropism. You might hear someone mistakenly use "could of" instead of "could have," "for all intensive purposes" instead of "for all intents and purposes," or "the Sixteenth Chapel" instead of "the Sistine Chapel." These are all malapropisms. A mondegreen is commonly thought of as a misunderstood or misinterpreted word or phrase resulting from misheard song lyrics. Who's baking carrot biscuits? It's Bachman Turner Overdrive! Who won't chew the steak? It's Rihanna. What's the most romantic song of all time? The one Elton John wrote for that guy from Who's the Boss. A word or phrase that reads the same way backward as it does forward is called a palindrome, such as "rotator"; "Yreka Bakery" in Yreka, California; or the phrase "never odd or even." Pangrams are words or sentences that contain every letter of the alphabet at least once. The most common example is "A quick brown fox jumps over the lazy dog." Go through and check it out if you want. A rebus is an allusional device that uses pictures to represent words or parts of words. Here's one for "To be or not to be." Get it? Semordnilaps are words or phrases that still make sense when read backward, like a palindrome, but possess a different meaning. The word semordnilap was coined because it's palindromes spelled backward. Some examples include "stressed," which spells "desserts" backward, and "repaid," which spells "diaper" backward. A spoonerism is a play on words in which corresponding consonants, vowels, or morphemes are switched between two words in a phrase. There's the famous George Carlin quote, "Don't sweat the petty things and don't pet the sweaty things." 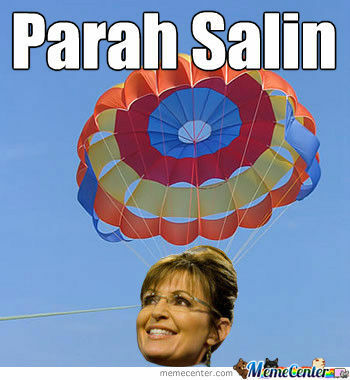 Or, perhaps you'd rather go Parah Salin? An eggcorn is a substitution of a word for a word that sounds similar; the term "eggcorn" comes from the term’s similarity to the word "acorn." As such, the word "eggcorn" is, itself, an eggcorn! The English language isn't like eating dinner; you're more than welcome to play with your words. What's more, the more you play with your words, the more fun the English language gets. So, keep engaging in wordplay! Seconds, anyone? Perfect your writing with high-quality editing. Learning English does not have to be a tedious process. These ESL games will help you perfect your English, whatever your current proficiency. Precise Prepositions: Do YOU Know Which Word to Use? This quiz will test your knowledge of a tricky little part of speech—the preposition.